In addition to military grade durability with MIL-STD 810G, also IP68-certified for water and dust resistance. It also has Portrait mode, QLens, Hi-Fi quality audio, DTS:X 3D Surround Sound, and the Q7+ also comes with Hi-Fi Quad DAC. 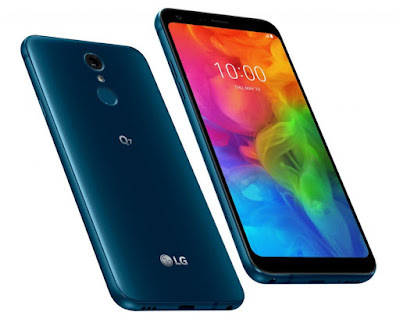 Packed with a 3000mAh battery has the predecessor, LG has added support for Qualcomm’s Fast Charge technology that charge the phone from 0 to 50% in 30 minutes via USB Type-C port. LG Q7 comes in Aurora Black and Lavender Violet colors priced at 495,000 Korean Won (US$ 456) and LG Q7+ comes in Moroccan Blue priced at 570,000 Won (US$ 526 ). Both these will be available through all the three major operators in Korea.